Sigma IT Consulting wins the prestigious award as "Partner of the Year for the most innovative solution" at the Microsoft Partner Awards. The winning solution is called Asset Predict and the jury's motivation reads "For the IoT and AI solution in monitoring and maintenance, making it possible to proactively plan maintenance of systems and machines based on the actual status and not after an already breakdown or best guess when it may be most efficient to perform a preventive action. " 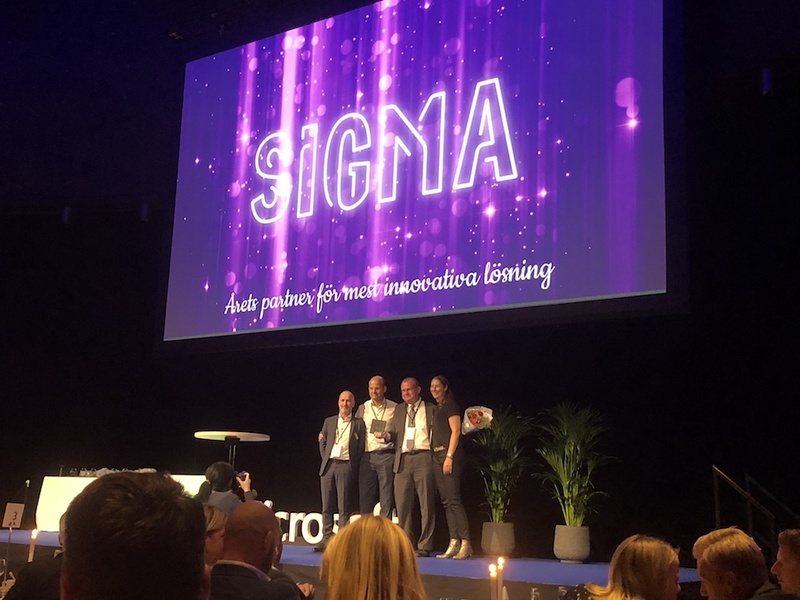 Sigma IT Consulting was the finalist in 3 different categories; This year's best digital customer transformation, this year's most innovative solution and this year's Azure partner. Sigma has been the finalist and won in several categories during 2015, 2016, 2017 and now also 2018. In 2016 Sigma IT Consulting was awarded Microsoft Country Partner of the Year in Sweden. It is a clear indication of Sigma's ability to be at the absolute forefront of the digital revolution. "We are very proud to win Partner of the Year for the most innovative solution. This prize shows that we are constantly challenging ourselves to develop the best solutions in digitization,” says Hans Hellström, responsible sales representative for Business Area Asset. On September 25th, the Microsoft Partner Awards were held at the Waterfront in Stockholm. The competition is considered to be one of the most important in the industry, as Microsoft is constantly driving the development forward and is realizing new opportunities in digitization. "It is extremely honorable to win Microsoft's confidence and get a proof that our work is important and valued by both partners and customers. We are always striving for innovative solutions that contributes to a better tomorrow," concludes Hans Hellström.